New twists have emerged in the US$4,2bn lawsuit filed by MTN’s cellphone rival, Turkcell, in a US court. Chris Kilowan, the disgruntled former MTN director in Iran who, according to sources, approached Turkcell with MTN memos that formed part of the court filings but have yet to be verified, could find that his actions backfire on him. He could become implicated in the explosive claims that MTN executives paid bribes to Iran government officials and facilitated the purchase of arms and defence equipment for the Iranian government in a bid to secure a 49% stake in MTN Irancell. The Mail & Guardian has reliably learnt from lawyers in London that they are preparing to submit a deposition in the Washington court by next week on Kilowan’s role as a “fixer” for MTN in Iran. Depositions can apparently be made before the start of the case, which could take at least a year to come before a judge. Kilowan is known to have been central to the alleged deals but is not mentioned in Turkcell’s court application, leaving questions about the missing links in the corporate skulduggery and corruption claims, which MTN has strongly denied. The characters directly blamed in the court papers are former MTN Group CEO Phuthuma Nhleko, former MTN commercial director Irene Charnley, former defence minister Mosiuoa Lekota and MTN’s current CEO, Sifiso Dabengwa. MTN chairman Cyril Ramaphosa, former president Thabo Mbeki and SA’s ambassador to Iran, Yusuf Saloogee, are indirectly linked in the papers filed by Turkcell. Kilowan’s exclusion from Turkcell’s court papers and his involvement in Iran has sparked a hunt for information about him. The qualified lawyer is described on some business network websites as an “oil broker” and “fixer” in the Middle East and Africa. A number of law and consulting firms in London are gathering information on Kilowan in Dubai, where he lives, SA, where he has family and some businesses, Iran, where he still has business links, and in Turkey. Although there could be some truth to the claims and memos filed in Turkcell’s court papers, some lawyers believe Kilowan’s actions could backfire on both him and Turkcell. They say it could provide MTN with ammunition to get the case quashed by turning attention to Kilowan’s role and discrediting the information he allegedly handed to Turkcell. Charnley, who Turkcell claims was the ringleader in the alleged bribery claims, was friends with Kilowan at one stage. They both had close links to Lekota, who is alleged to have facilitated the purchase of defence equipment for Iran through arms manufacturer Denel. Kilowan, Charnley and Lekota were all part of the founding group of the United Democratic Front in the early 1980s. But according to several sources, Kilowan and Charnley had a major falling out before Kilowan left MTN in 2007 under a cloud and started a few companies, most of them based in Dubai. Research on the Internet shows he still enjoys close links with Iran and is engaged in activities ranging from IT services to commodities trading. He is chairman of HIH Africa, which was recently incorporated in Zimbabwe, and founder and chairman of Hosane Advisory Services, an international trade consultancy for commodity brokers and traders. Kilowan is also chairperson and CEO of K1 Advanced Technologies Consultancy, which is “rapidly growing into a facilitator of choice for the introduction of new technologies and solutions into the Middle East and Africa”. 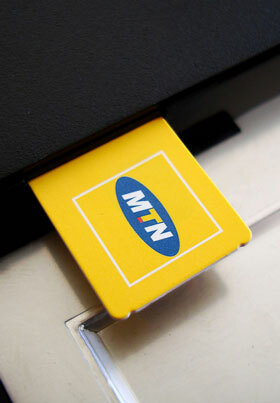 Interestingly, Kilowan has been supplying technologies that MTN is accused of providing as spyware. In addition, he is chairman of Hosane Resources and Commodities, which acts as agents for base oil manufacturers and gold and gas transactions in the Middle East, Africa and Europe. He formed APEC LLC in Iran in October 2007 shortly after leaving MTN. Previous ArticleCan analytics help reduce rugby injuries?